What is your favorite singles and tag team finishing move of all time? Christian: For a singles, it had to be something that was believable, and could be given to anyone. The DDT was game changing to him, and was quick and simplistic. Edge agrees. They both mention the Phenomenal Forearm and Seth Rollins’ Stomp for current moves. For tag teams, they liked the LOD’s Doomsday Device, along with the finishing moves of the Steiner Brothers, British Bulldogs, and Hart Foundation. When you were in the Main Event at WrestleMania, did you watch the show as it was happening? If so, does it put additional pressure to exceed the other performances? 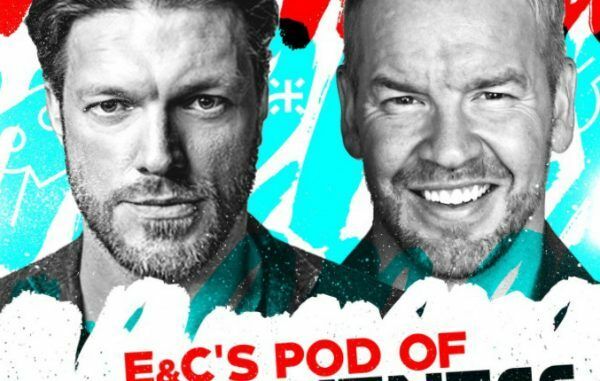 Edge did not watch the show as it was happening, and the pressure is exactly why. He knew that Shawn Michaels vs. Ric Flair was going to be very emotional, and while he knew he’d watch it later, he wanted to concentrate and remain focused on his match. Christian would also never watch a lot of matches prior to his, as he also wanted to focus, and would catch the shows on the next day. Does Edge have any behind the scenes stories from when he did the Ric Flair highway segment from Raw in 2006? It was one of his favorite segments to do. Ric gave him one of his robes to use, and Impact’s Robbie E was in the segment. It was just a lot of fun. Who would’ve had a better hockey career? Christian, because he knew how to skate. What are your parameters on how you rate a match? Edge doesn’t. Did you enjoy the match? If so, great. Christian adds that everything is subjective, and that a star rating is one person’s opinion. 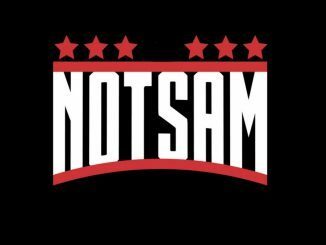 Looking at the main roster, who is a dream opponent that you would’ve liked to face? 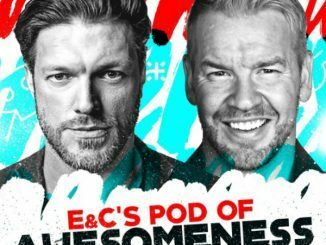 Edge doesn’t know if “main roster” includes NXT, but, he mentions Aleister Black, Johnny Gargano, Tommaso Ciampa, Seth Rollins, A.J. Styles, and Roman Reigns. Christian also feels that there are three brands (NXT included), and likes all the wrestlers Edge noted, as well as Rusev. If Edge & Christian wouldn’t have made it as team, who would’ve made good partners for them? Edge: Chavo Guerrero & Bily Kidman. Christian: Scotty 2 Hotty. 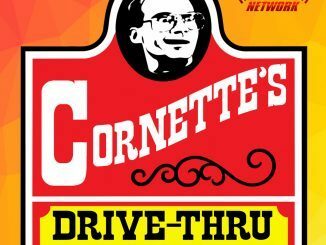 What’s an obscure wrestling match, or hidden gem, that a fan should watch? Edge is not sure, but has been wanting to watch an All Japan Pro Wrestling match from 1981 with Ric Flair against Ricky Steamboat. Christian remembers a match featuring the Magnificent Muraco vs. Moondog Rex, from a show in Australia. He’s not sure where you can find it, but it made him more appreciative of Muraco. What’s one song you love to listen to, but are embarrassed to admit? Edge is not embarrassed, but does like “How Deep is Your Love” by The Bees Gees. Christian likes “Sailing” by Christopher Cross. (From Jeremy Borash) Who is the greatest boy band of all time? Christian and Jeremy would talk about boy bands back in the day. Gotta go with the Backstreet Boys. Why does it look like Christian’s always squinting? It’s hereditary, and just his face. He’d get questions about why he was always mad, when he wasn’t. How do you like the recent character transition for Johnny Gargano? Edge: It’s nice to show a different layer of the character, and he’s doing really well. Christian concurs, and adds that you have to be able to adapt, which Johnny has done. When was the moment you realized that you had made it? Edge tried to never look at it that way, as he always wanted to improve, but it became very real when he saw himself as an action figure, and in the WWE Video Game. Christian agrees, and says it’s surreal. He also remembers being recognized in public right after his first WWE appearance, and realizing that his life was about to change. If your careers weren’t shortened by early retirement, where do you think you’d be right now? Would either of you be coaches at the Performance Center? Christian would have at least wrestled through the end of his contract. He’s not sure if he’d still be wrestling or not, but would’ve kept on until he couldn’t maintain at a high level. When he retired, he was still having fun, but the bumps had started taking their toll, so he doesn’t know. As far as a coach, he has made appearances, and loves what they do at the Performance Center, but is not sure if he’d do it full time. Edge feels that he’d probably be done by now. Age 40 was his endgame, but it would depend on the talent, as he would’ve possibly stuck around to wrestle The Shield. He wouldn’t be a coach, only because of the fact that he wouldn’t want to live in Orlando. He’s also made appearances, and made it known that the wrestlers can always contact him for advice. Were either of you approached by WCW? Edge had some tryouts early in his career, but based on the vibe, quickly realized it was a place he wouldn’t want to be at. For both Edge and Christian, WWE was always the end goal. Are there any matches that you would go back and redo to make better? Edge remembers his 2002 series of match with Eddie Guerrero, and both of them thinking that they could do better. Eventually, they got there, and he wouldn’t want to redo it, because that drive is what eventually got them to the place they wanted to be. Christian doesn’t have a match so to speak, but when he and Edge split in 2001, he put too much pressure on himself to succeed, and didn’t always react naturally. Is there a phrase that you tried to get over but didn’t, or is there one that you were surprised did get over? For Edge, he didn’t really use catchphrases, but he did recall when Vince wanted him to make the spear a catchphrase during his WrestleMania 26 feud with Chris Jericho. It didn’t get over, and maybe it’s because it felt forced to him, and he wasn’t invested in saying it. At a total time of a little over an hour, it was a quick listen, and there were a few interesting tidbits. There were a few repetitive questions that listeners have heard before, but that’s to be expected. Feel free to follow me on Twitter @the_Indel or send me an email at indelpw@gmail.com. See you next week!